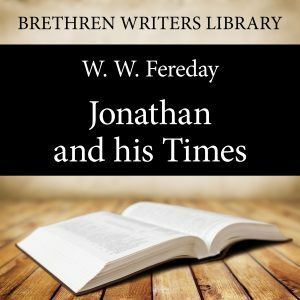 In ‘Jonathan and his Times’, W.W. Fereday examines the life and times of Jonathan, son of King Saul. Although a man of faith, who loved David as his own soul and performed many daring exploits in the name of Jehovah, he was a man of mixed principles, a double-minded man who never lived up to his spiritual potential. We are here exhorted to review our Christian path. “What have we really surrendered for the One we profess to love? What cherished idols have we abandoned for Him? To what extent have we shared His rejection?